Now, I don't know about y'all, but in my world, EVERYONE is pregnant. We joke and say that we are going to have the most pregnant wedding known to man, but we are so excited for all of our friends who are expecting! I guess that's what happens when you're getting ready to turn 30 ;) My fiance and I plan to wait a year or so to have a little bambino, so until then I get to shower all of my girls with fun little gifts for theirs! 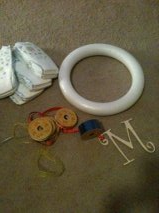 1 foam round wreath (I always get mine at Hobby Lobby using 40% everyday coupons-hello bargain) 1 wooden letter ( I use the baby's first initial) Diapers- approx 15 are used ( I use size 3 since they are a tad bigger and easier to attach AND so that the mom can keep her wreath in tact for longer) Ribbon-multi colors, sizes and patterns (What I use varies from wreath to wreath, but I always use a thicker one for the hanging ribbon) Craft paint- to paint the wooden letter Directions: Note: I find sitting in the floor to do this is easiest 1. 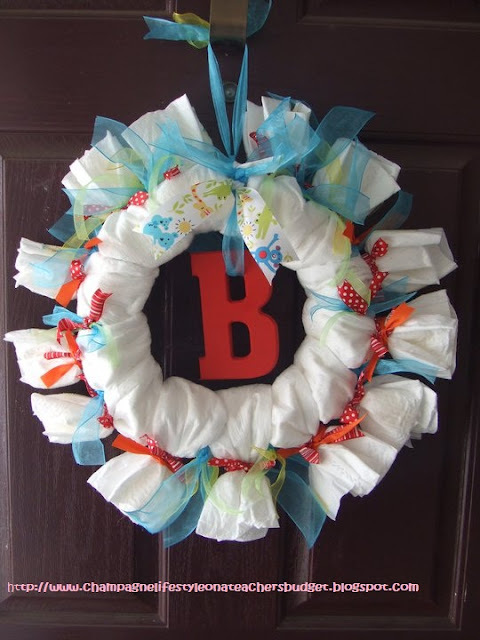 Paint your wooden letter 2.Take the diapers and wrap around the wreath where as the part of the diaper that opens up is hugging the foam wreath. 3. 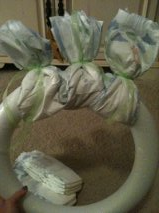 Grab the top of the diaper in a bundle and tie a piece of your ribbon around it to secure it at the top. I find 6 inches of ribbon is a good amount to use. 4. Rotate the wreath and continue the process all the way around. DO NOT worry about small spaces that show through as the next step will fix that. There is a lady at my work who makes awesome baby diaper cakes for showers. I'm going to show her this. It's so awesome. Thanks for sharing. 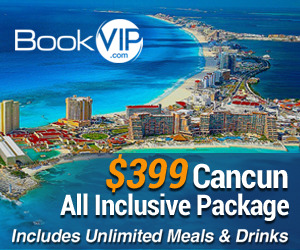 I'm heading over to the Pink Pineapple next. This is really cute! 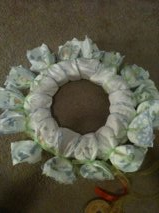 I've always seen the diaper cakes but never a wreath. 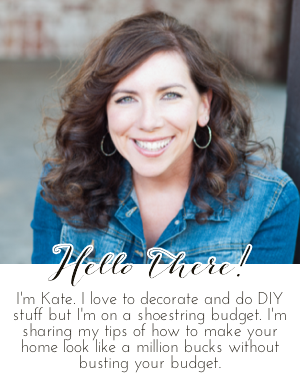 Going to check out your blog now! I had to laugh at the comment about hospital door. Do women really decorate their doors in the hospital? 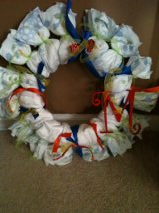 Andrea, yes, they do :) Most of my friends hang their wreath on their door so that it's easy for guests to find their room in the maze of the mother/baby unit. This is so cute! I love it as an alternative to the traditional diaper cake. Very helpful thanks! They are very cute and creative, I loved the one that my family bought and hung over my hospital door when my husband and I had our daughter.